Rupert Pupkin Speaks: Film Discoveries of 2017 - Jack Criddle ""
Jack Criddle is a filmmaker and cat guy from the scenic hills of Western Massachusetts. He is also the host of the weekly film soundtrack radio program Play Morricone For Me on WJJW 91. FM in North Adams. https://www.mixcloud.com/PlayMorriconeForMe/ When he is not watching films or on the radio, he enjoys books, cooking, and sleep. This year, the missus and I watched the new-to-us "Road" series, and checked out a few other Bob Hope pictures, including The Ghost Breakers and My Favorite Brunette. This one ended up being not just the best of the bunch, but probably my single favorite film discovery of last year. 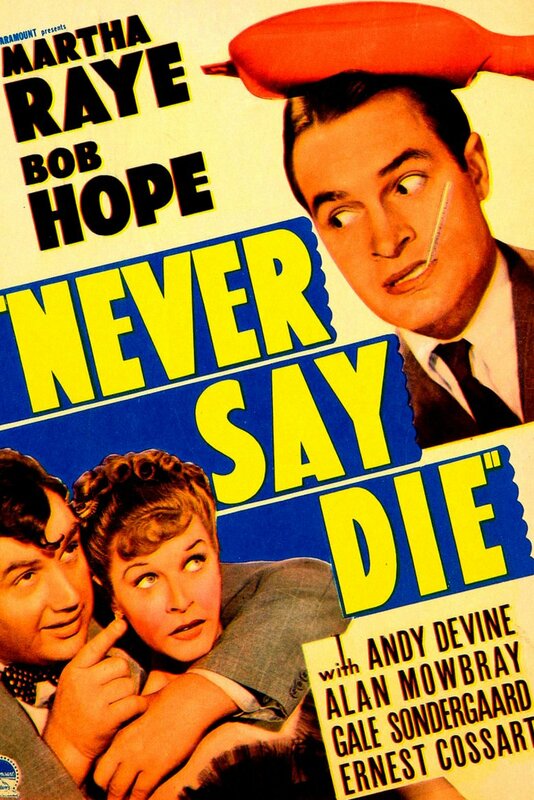 Hope plays a rich hypochondriac who is misdiagnosed with a fatal illness. Martha Raye is a Texan oil heiress running away from her father and blueblooded fiancée, with the intent of eloping with her sweetheart, played by Andy Devine at his most Andy Deviniest. 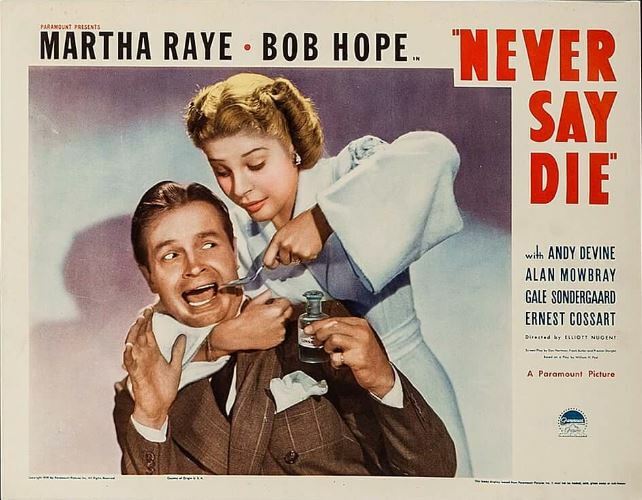 Hope and Raye enter into a marriage of convenience for as long as he thinks he'll live, with Devine in tow, jealously chaperoning the pair. 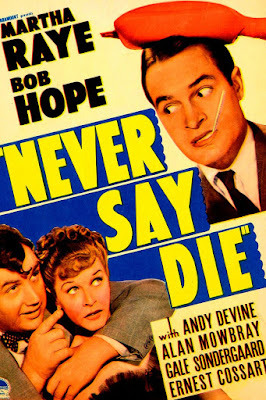 Brilliantly directed from a Preston Sturges script, Hope had not yet settled into his "Bob Hope persona," (which is a good thing - he's funnier here than in his later star-vehicle roles) and his romantic chemistry with Raye and his bickering with Devine are pure comedic gold. 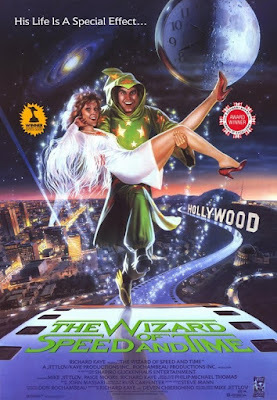 This film is an fictionalized autobiographical account of its director, special effects wizard Mike Jittlov, and his experiences in Hollywood. Playing himself, Jittlov is hired to create a TV special about the history of special effects in cinema, but is intentionally sabotaged by his producer, who's out to throw him under the bus for a quick buck. It's a fascinating meta-narrative, as the producer is played by Richard Kaye, the real producer on the film, who really did rip Jittlov off and release the recut film without the director's consent. With its eye-popping stop-motion animation and optical effects, the film is a bipolar mixture of childlike wonder and gee-wiz ingenuity, but with an undercurrent of anger, malice, and self pity simmering beneath the surface. The whole thing doesn't really "gel," as it were, but it still provides a fascinating glimpse inside Jittlov's head. So. Much. Fun. Made the same year as the brilliant Frogs, this film again sees Ray Milland as AIP's embodiment of America's white, right-wing, patriarchal old guard. This film isn't quite on Frogs' level, but it's still a wildly entertaining, tongue-in-cheek romp that melds Blaxploitation and mad science tropes (with a lengthy motocross chase thrown in, because hey, why not?) 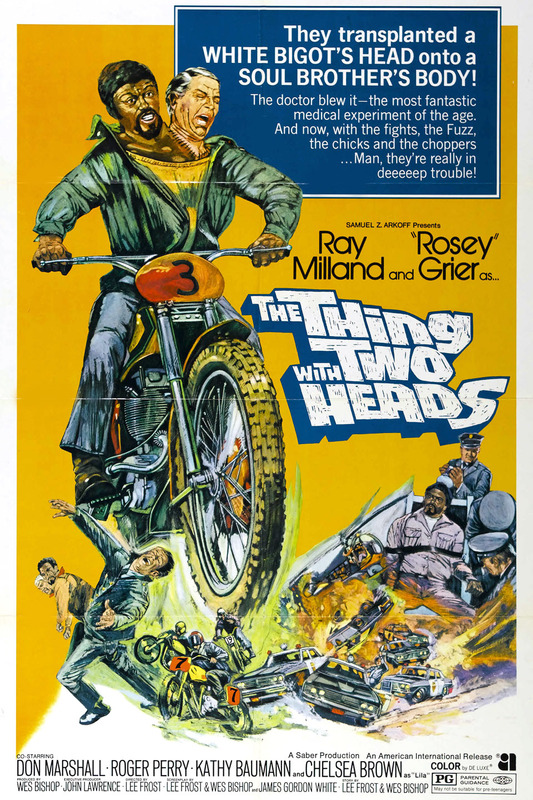 as Milland's racist, fatally-ill surgeon has his head grafted onto the body of wrongly convicted convict Rosey Grier. It's a never-not-wonderfully-silly picture that I think would play great on a double bill with Get Out. 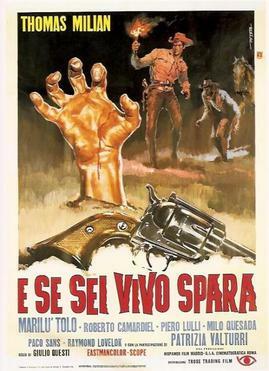 I'm far from an expert on spaghetti westerns not directed by either of the Sergios (Leone and Corbucci) but I found this one to be an excellent, grim, nasty, nihilistic bit of business. It's a Django sequel in name only, focusing on Thomas Milian's "The Stranger," who claws his way out of a shallow grave after being left for dead by his partners in crime, only to have to do battle with a town ruled by greed-mad locals and run by a gang sadomasochistic gay cowboys(!) Fun for the whole family. 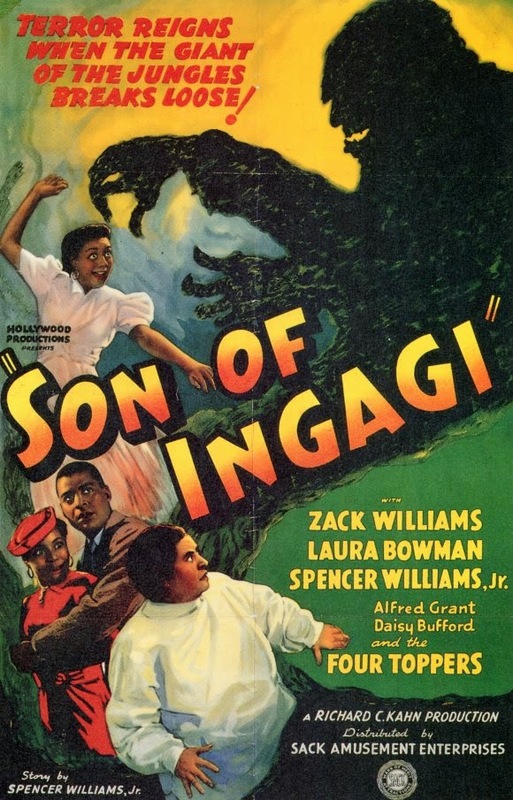 This fun, if threadbare horror picture is understood to be the oldest surviving horror film that features an all-black cast. Unrelated to the thought-to-be-lost gorilla-shagging picture Ingagi, the film features pair of newlyweds staying at a mansion owned by a witchcraft practitioner, and her ape-man manservant creeps around, offing the side characters one by one. Amos N' Andy's Spencer Williams, also credited as screenwriter, is the only recognizable face. Due to lack of resources and budget, the film plays more like a movie from 10 years earlier, at just the beginning of the sound era, but it's still a lot of fun for people who enjoy early genre and exploitation affairs. What's most striking about the film is its lack of racial stereotypes, compared not just to other films of the era, but to today. pictures. Hall is so raw and terrifying in the role of Charlie Tibbs - a character inspired by Charles Starkweather, also the inspiration for Martin Sheen's Kit in Badlands and Woody Harrelson's Mickey in Natural Born Killers. 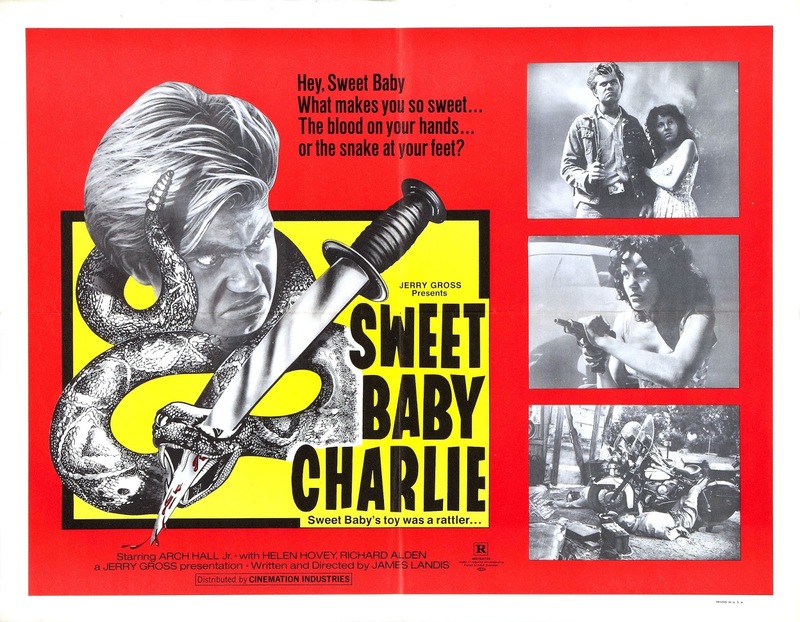 The movie is surely one of the great single-location films ever, unfolding more-or-less in real time as a trio whose car breaks down at a roadside car junkyard are threatened and tortured by the howling-mad Charlie and his child-minded girlfriend. It also got me thinking, after viewing the recent Black Mirror episode "U.S.S. Calister," that if he plays his cards right, Jesse Plemons could be the Arch Hall Jr. of today. I absolutely adore "The Wizard of Speed and Time." It's impossible to explain it to people today, because they assume CGI was used. When you explain that he rode a bicycle on the wall of an alley and it wasn't a fake set turned 90 degrees and wasn't CGI, but stop-motion, that he got on a bike, threw himself into position for a split second, hundreds of times, lining up the wheels each time, it's unbelievable. And Angelique Pettyjohn has a cameo.